A team of scientists, led by the University of Toronto's Barbara Sherwood Lollar, has mapped the location of hydrogen-rich waters found trapped kilometres beneath Earth's surface in rock fractures in Canada, South Africa and Scandinavia. Common in Precambrian Shield rocks -- the oldest rocks on Earth -- the ancient waters have a chemistry similar to that found near deep sea vents, suggesting these waters can support microbes living in isolation from the surface. The study, to be published in Nature on December 18, includes data from 19 different mine sites that were explored by Sherwood Lollar, a geoscientist at U of T's Department of Earth Sciences, U of T senior research associate Georges Lacrampe-Couloume, and colleagues at Oxford and Princeton universities. The scientists also explain how two chemical reactions combine to produce substantial quantities of hydrogen, doubling estimates of global production from these processes which had previously been based only on hydrogen coming out of the ocean floor. "This represents a quantum change in our understanding of the total volume of Earth's crust that may be habitable," said Sherwood Lollar. 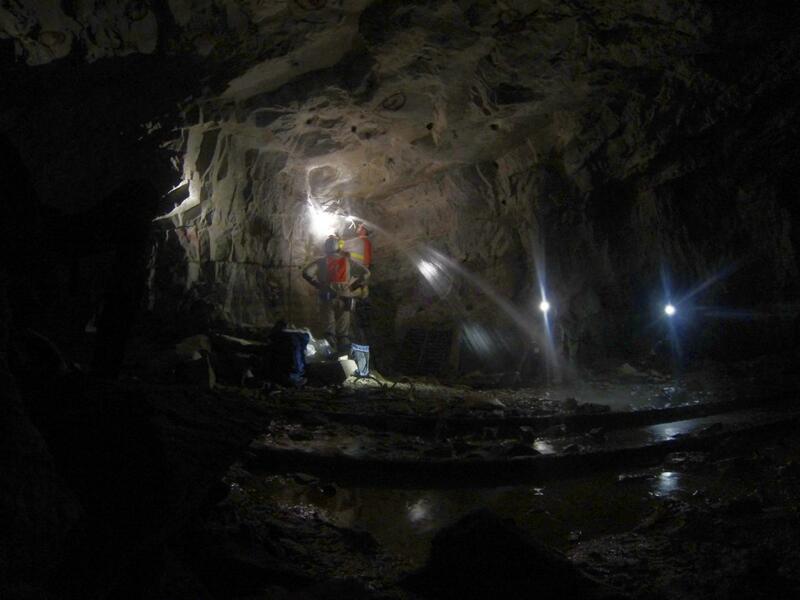 "Until now, none of the estimates of global hydrogen production sustaining deep microbial populations had included a contribution from the ancient continents. Since Precambrian rocks make up more than 70 per cent of the surface of Earth's crust, Sherwood Lollar likens these terrains to a "sleeping giant," a huge area that has now been discovered to be a source of possible energy for life," she said. One process, known as radiolytic decomposition of water, involves water undergoing a breakdown into hydrogen when exposed to radiation. The other is a chemical reaction called serpentization, a mineral alteration reaction that is common in such ancient rocks. This study has important implications for the search for deep microbial life. Quantifying the global hydrogen budget is key to understanding the amount of Earth's biomass that is in the subsurface, as many deep ecosystems contain chemolithotrophic -- so-called "rock-eating" -- organisms that consume hydrogen. In the deep gold mines of South Africa, and under the sea, at hydrothermal vents where breaks in the fissure of Earth's surface that release geothermally heated waters -- hydrogen-rich fluids host complex microbial communities that are nurtured by the chemicals dissolved in the fluids. This study identifies a global network of sites with hydrogen-rich waters that will be targeted for exploration for deep life over the coming years. Further, because Mars -- like the Precambrian crust -- consists of billions-of-year-old rocks with hydrogen-producing potential, this finding has ramifications for astrobiology. "If the ancient rocks of Earth are producing this much hydrogen, it may be that similar processes are taking place on Mars," said Sherwood Lollar. Other key members of the research team are Chris Ballentine of Oxford University, Tulis Onstott at Princeton University and Georges Lacrampe-Couloume of the University of Toronto. The research was funded by the Canada Research Chairs program, the Natural Sciences & Engineering Research Council, the Sloan Foundation Deep Carbon Observatory, the Canadian Space Agency and the National Science Foundation.